With the summer movie season just about a month away, we’ve got some big trailers dropping and, no, I don’t mean Pain & Gain big. 1. 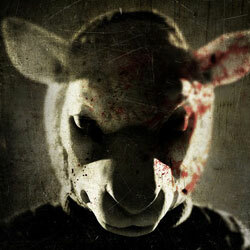 You’re Next: You’re Next wins big by going the traditional slasher/home-invasion route while also subverting expectations to the max — and the film’s brand new trailer wins big by exploiting just that. Courtesy of an impeccable beat and those unforgettable animal masks, this promo pulls you in by putting an intriguingly fresh spin on a scenario we can’t get enough of. Even better, it leaves much to be discovered in the full feature. Trust us, we’ve seen it. The author of “The Twilight Saga” and the director of “Gattaca” just had a baby – an unintentionally laughable, nonsensical, ugly baby. “The Host” takes place in a future time when an alien race called the Souls invade Earth. Rather than blow up the White House or zap people with lasers, the Souls take over human bodies and use them to turn the planet back into a clean, safe place. They may have good intentions, but clearly claiming bodies without human consent doesn’t fly and the few that manage to escape the colonization form a resistance. Melanie Stryder (Saoirse Ronan) is part of that resistance until she’s captured by a Seeker (Diane Kruger) and fitted with her very own Soul, Wanderer. Wanderer assumes control, but Melanie isn’t about to give up that easily and while Wanderer tries to obey the Seeker and use Melanie’s memories to track down the remainder of the resistance, those memories and Melanie’s powers of persuasion make Wanderer doubt the Soul’s cause. Using their shared body, the two team up to find Melanie’s little brother, Jamie (Chandler Canterbury), and boyfriend, Jared (Max Irons), and do what they can to keep as many people and Souls alive. Press conferences are informative, but not typically fun, per se. However, when you’ve got two entertainers front and center who are seemingly very passionate about the film they’re promoting, the excitement leads to a laugh-packed back-and-forth. That film is “Family Weekend” and those entertainers are Kristin Chenoweth and Olesya Rulin. Rulin leads as Emily Smith-Dungy, a high school student with a passion for competitive jump roping. When her entire family misses an important competition, Emily decides enough is enough. She rallies her siblings, they kidnap their parents (Chenoweth and Matthew Modine), and refuse to let them go until they strike a proper balance between work and family. With “Family Weekend” due in theaters on March 29th, Chenoweth and Rulin sat down for a session of rapid-fire questions. While we did get the goods on their connection to their characters, what it took for Rulin to appear to be a legitimate jump rope athlete, where they got their inspiration for the Smith-Dungy family dysfunction, and more, the bigger laughs came from poking fun at their personal lives and trying to figure out who made Rulin’s dress. Click here to watch the highlights from the press conference. “The Place Beyond the Pines” is long and often feels like it, but your time and attention is ultimately well rewarded through thoughtful, tense and moving scenarios that culminate in a very satisfying and well-earned conclusion. Ryan Gosling’s Luke works as a motorcycle stunt performer at a traveling carnival. The ladies love him, but Luke’s got his eye on just one, Romina (Eva Mendes). During his annual stop in Schenectady, New York, Luke tries to rekindle their romance, but winds up finding out that while he was on the road, she gave birth to his son. Desperate to contribute and support his baby boy, Luke quits the carnival and repurposes his motorcycle riding abilities to robbing banks. Then there’s Avery (Bradley Cooper), a law school graduate-turned-police officer. He’s got all the potential in the world, but a run-in with a dirty cop (Ray Liotta) sours his budding career and even his relationship with his wife (Rose Byrne) and son. When you’ve got a movie starring Tina Fey and Paul Rudd, you’re bound to expect an excess of comedy, however, in the case of Paul Weitz’s “Admission,” the pair runs with their more “adult” characters and strike a an ideal balance between humor and honest emotion. Fey stars as Portia Nathan, a Princeton admissions officer dedicate to the school’s lofty criteria. When the opportunity for a promotion arises, Portia’s determined to get the gig, so tries to impress her superior by expanding her yearly recruiting script to include John Pressman’s (Paul Rudd) alternative school, New Quest. That’s where she meets Jeremiah (Nat Wolff). He may not fit the Princeton mold of sky-high grades and an endless list of extracurricular activities, but Portia sees something in him that compels her to consider deviating from the school’s rigid standards. While promoting the film’s March 22nd release, both Fey and Rudd sat down for a roundtable style interview. They discussed boarding the project, the appeal of their characters, the art of filming a cow-birthing scene and more, but the highlight might be the duo remembering the good old days, when they first came together to reenact “Sixteen Candles” for a failed VH1 show. Read all about that and more in the interview below. There’s no point in aiming for the element of surprise. Clearly Star Trek Into Darkness was snagging a spot in this week’s Best Stuff, but we did have a nice little fight between three upcoming animated films. Epic does continue to grow on us with each new promo, but how can you compare mini-forest people to a snail with racing ambitions and Gru’s minions? If only there had been room for both in the top three. Yes, Benedict Cumberbatch, you have our attention. 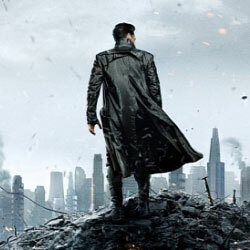 Star Trek Into Darkness wins big again by turning its latest trailer into another villain-driven character piece. Cumberbatch’s voiceover is infectious, making for an ideal build toward the explosive montage that follows. Story and character development combined with mesmerizing high-stakes situations to produce a piece that makes the viewer feel the threat, even before all the details have been unveiled. “Admission” isn’t loaded with rapid-fire laughs, but it’s because director Paul Weitz opts to give the material a chance to breathe and develops it into a more thoughtful comedy, making it more memorable than a mere fleeting attempt at earning a laugh. Portia Nathan (Tina Fey) is an all-business college admissions officer. She’s dedicated her life to plucking the brightest young minds from Princeton’s abundance of applicant folders to help uphold the university’s sky-high standards, so when her boss, Clarence (Wallace Shawn), announces he’s preparing to retire and find a replacement, Portia is hell-bent on getting the job. In an effort to outdo her competition, Portia agrees to expand her annual recruiting trip to visit an alternative school at the request of a former college classmate-turned-teacher, John Pressman (Paul Rudd). Trouble is, John doesn’t just want Portia there to gloat about Princeton’s rigorous application process; he thinks one of his students might be Portia’s son. When a film’s got a poster featuring Tina Fey and Paul Rudd, and a trailer with a cow-birthing scene, it’s easy to brand “Admission” your average commercial comedy. However, Weitz uses a far more naturalistic form of humor and a good deal of honest emotion to turn “Admission” into something relatable, amusing, and particularly charming.